iOS 4 for iPad, iOS 4.1 for iPhone and iPod touch 4 with FaceTime Launching in Mid August? Folks at the MacMagazine claims to have got this information from reliable sources within Apple who has confirmed to them that instead of the usual Apple’s “Media event” in September, Apple this year will be hosting their event as early as mid of this August, somewhere around 14th to 16th. Since 14th August falls on Saturday, what they believe is that the event is likely going to be held on Monday or Tuesday i.e. 16th or 17th of this month. The focus of the event will mainly revolve around the new iPods line. The much hyped and rumored iPod touch 4 / 4G will be unveiled featuring: front-facing camera for FaceTime, gyroscope like in iPhone 4, and a camera on the back with LED flash light. 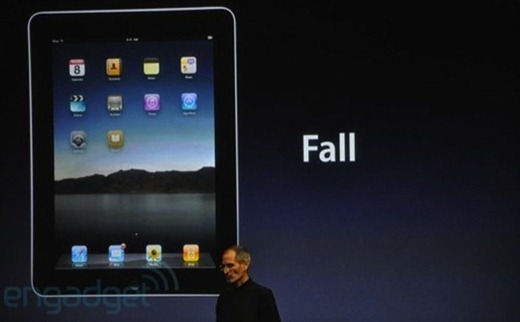 The much awaited iOS 4 for iPad will also be part of this event. Apple might also take this opportunity to release iOS 4.1 for all iPhones and iPod touches which will fix proximity sensor issue for iPhone 4 users, close the JailbreakMe PDF exploit among many other things. sweet!!! glad i'll be able to see it being live-blogged because i have no school! do we really need an iPod 4? all the people are stuck in the emergency call because the phonebook card dont work you know anything about this problem?? The 14th refers to September — which is a Tuesday and comes right as the Back-to-School free iPod Touch promotion ends. Not gonna be in August. Just want them to fix the GD Proximity sensor problem. Could care less about the rest. Hopefully we don't need the iPod 4 unless it has more advances features than the current iPhone 4.
mine works. which part do you mean not working?